On Wednesday, Darmesh needed a few more gadgets so we went back to Yongsan and actually ended up watching a movie after shopping. 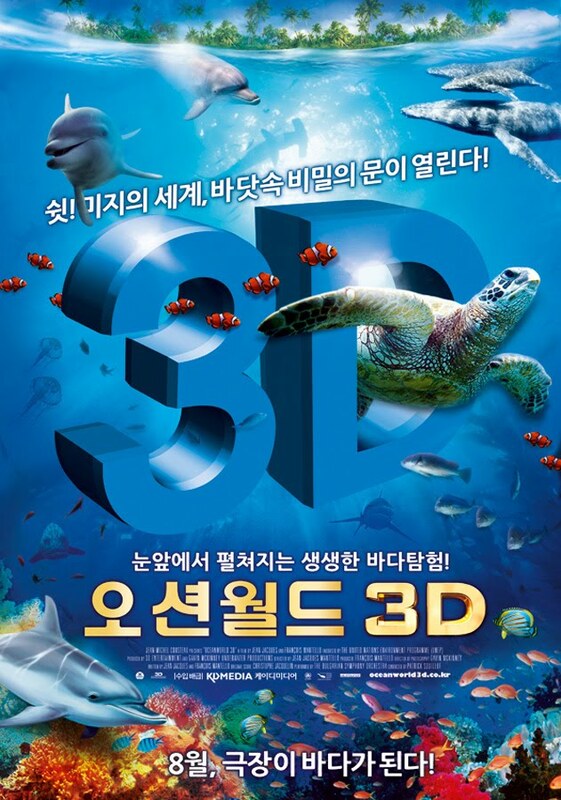 We watched Ocean World in 3D. It's a documentary film directed by Jean-Jacques Mantello and speaks of animal life in the ocean. ONLY after the opening credits, did we realize the film was dubbed in Korean! Nevertheless, we stayed and watched it - the 3D underwater images were simply incredible. The subway ride home was entertaining. There was a man (intoxicated with alcohol) who was making small talk, in Korean no less with my mum and when he got off at his stop, he gave my mum his fan! We got off at Bupyeong Station to give my brother a taste of underground shopping, but by that time the stores were already closing.